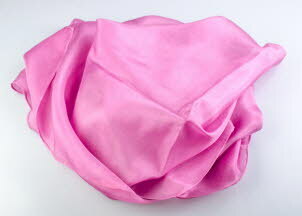 100% silk scarves hand dyed with Peruvian cochineal in deep pink to pale rose colours. Silk scarves not only keep you warm in winter and cool in summer, but they are very chic, stylish and add a touch of glamour to your outfit. 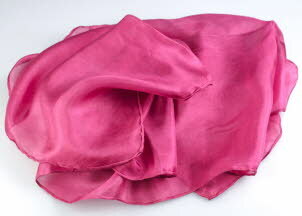 Dye a scarf for yourself & for a friend and wear the magic of pure silk dyed with cochineal next to your skin. And they make a great gift for friends living abroad as they are very light to post. Click on a photo to see it larger! 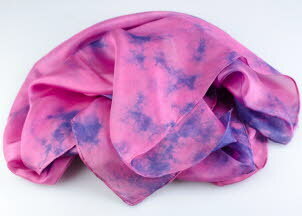 Read more about cochineal-dyed silk scarves here! Our silk scarves are now Out of Stock on Cochineal Dye.com but you can buy them from Traditional Dye Works! These beautiful silk scarves have been dyed exclusively for us by Traditional Dye Works.